"​CLEANING TO INFINITY AND BEYOND"
Love Cleaning, has serviced the carpet and upholstery cleaning needs of Bountiful, Davis County, Salt Lake County, Weber County, Tooele County and Utah County since 1977. Yes, we do get around--but you all know just how close we all are living along the Wasatch Front. Here you will find excellent carpet, upholstery and tile cleaning services with competitive prices. Call us or send us the Free Instant Quote form found on this page . ​​We are locally owned and operated by a Certified Master Cleaner and our certified cleaning technicians will clean the carpet and upholstery in your home, car, RV or office along with tile and ducts. We also provide carpet repairs and stretches. Along with our residential and commercial cleaning, we work hand-in-hand with RC Willey, Stainmaster and Guardsman to provide the best warranty service available. ​And, as an added bonus.....Customers who have a current account with RC Willey can charge their cleanings to that account. Just let our friendly office staff know you're interested in charging your cleaning to your RC Willey account, and they'll make sure the technicians have the proper forms when the services are performed. It's a convenient and simple method that is preferred by many of our customers. ​​If you are reading this on our website you must be looking for a professional carpet, upholstery and tile cleaning service somewhere along the Wasatch Front--our home and yours. Give us a call. Whatever your cleaning needs are, we can help. You will find solutions for whatever home or office cleaning problems you may have, from small soda pop stains in your vehicle’s upholstery to wide-spread water damage from a broken pipe, and just about everything in-between. You will find that our staff is courteous, hard-working, and prompt. Call today at ​801-936-0586 and tell us what you need. We will set up an appointment right away. Our professional staff will come to you with the right cleaning products and equipment for the job. Of course, we always use safe and sustainable products and we are ever conscious of hypoallergenic needs. When our staff is done, your residential and/or commercial space floors and furniture will be clean and pristine which will help alleviate any related allergy and asthma and issues. Our steam cleaning process and our cleaners are fast drying. After all, we want you to be able to return to your normal activities as quickly as possible except that those dirty floors will be clean and pristine. You can feel confident that your carpets, rugs, tile floors and upholstery are safe, comfortable, and stain-free. We can easily handle both residential and commercial customers. That's right, we can steam clean the carpets in your 2 bedroom condo rental unit or we can clean all the carpet in your entire office space. Yep, no job is too big or too small. For a free quote, fill out the form above or give us a call today at 801-936-0586 and see just how we can meet your floor cleaning needs. ​This is our home, just like it is yours. And we are your your local full-service carpet, upholstery, and floor cleaners. We serve the people of Bountiful, Utah and surrounding areas because that’s who we are. Although the Bountiful and Centerville area is our home location, we also have a location in Utah Valley and this enables us to serve the surrounding areas all across the Wasatch Front including Love Cleaning Salt Lake City ServicesBrigham City, Ogden, North Ogden, Uintah, Roy, Clearfield, Syracuse, West Point, Layton, Fruit Heights, Kaysville, Farmington, Bountiful, Woods Cross, Salt Lake City, West Jordan, South Jordan, Draper, Sandy, Cottonwood Heights, West Valley City, Herriman, Lehi, Provo, Orem, Spanish Fork and everywhere in-between. We are only a phone call away. Call us today at 801-936-0586 and let us provide you a free estimate and show you just how we can provide our services to you at your location. You can also fill out the form on this page with the details of your project and we will get back with you right away. ﻿​﻿A lot of carpet cleaners make the claim that they are the best. So please be wary of anyone that claims they are superior--any carpet cleaner can give themselves a title like that. But you and I both know that such an honor must come from customers, not from the company marketing department. The Davis County Clipper ran a poll last year as it gathered information to publish its 2016 "Best of Davis" Directory. We received enough votes from our happy customers to be included in the 2016 "Best of Davis" Directory as the county's best cleaning service. Again, we did not bestow this honor on ourselves--our satisfied customers let their opinion be heard. Again, we don’t know if we are the best, but we do know that we are local, professional, full-service, carpet cleaners that pride ourselves on customer satisfaction. We will put in all the necessary effort to ensure that your personal cleaning needs, from carpets, to rugs, to upholstery, to tile, and more, are satisfactorily met. Quick drying--you want it and so do we. Are you tired of the wet and soggy carpet that takes forever to dry? With our team you can expect your carpet to be dry in under 4 hours--not days and days. After all, you have a life to get back too with your newly cleaned flooring. Questions--we encourage them. The first question you should ask should be, "Can you fix the issues I have?" When you ask us, we will confidently answer all your questions and concerns. Only then is it time to discuss the pricing of your requests. Don't get caught in the all too common trap of first asking, "How much do you charge?" Technology--we use the latest and greatest cleaning technology. Yes, that’s right, our goal is to leave your flooring clean and pristine, your carpet fluffy and all areas child and pet safe. We do so by using the most advanced cleaning technology. Breath easy--a good cleaning will clean up your indoor air quality. Pollutants in the air travel throughout your home and get trapped in your carpet. While removing stains makes your carpet look nice, cleaning your carpet also provides you with a fresher, healthier and allergen-free home. Now who doesn’t like that? Don't even begin to think of what was really in that dirty carpet before it was cleaned. Are you sick and tired of having dirty carpet, living with stained carpet, and breathing in all the collected micro-sized dust, dirt, germs and allergens living in those carpet fibers? Give us a call at 801-936-0586. We will set up your appointment immediately and have you that much closer to a cleaner, healthier home! ​We are so confident, in fact, that you’ll be satisfied with our work that we list below some of our competitors throughout our service area with their phone numbers. We want to make this entire carpet cleaning process easy for you, even if that means just saving you some time from searching around the internet to find the best solution. If you find another company that can cleans your carpet, tile, or upholstery better than our professionals, then that’s a win for you. If you find their information from our site, we would greatly appreciate if you would let us know why you chose that company. Please call us at Love Cleaning, 801-936-0586, with your feedback. ​We provide this information because we are always working to improve our cleaning and restoration services and, most importantly, to make our customer service experience top notch and the best for you. After all, your satisfaction is our number one priority and we welcome all the input possible in our quest to satisfy our customers. ​If you are looking for an honest, hard-working, and local professional carpet cleaning company that provides services all along the Wasatch Front, we’re glad you have found us. With years of experience, our cleaning staff will tackle any problem you have, residential or commercial, no problem is too big--at least we haven't found one yet. Now, if you need help in Alabama or on the Florida Gulf Coast we cannot help--however, we still have you covered...just contact our friends at kwikdryinc.com. ​Now that you have stuck with it and read this entire page all the way to the end, are you now ready to make that appointment you need? We guarantee that you will get exceptional quality and superior customer service by choosing us to serve your home or business. 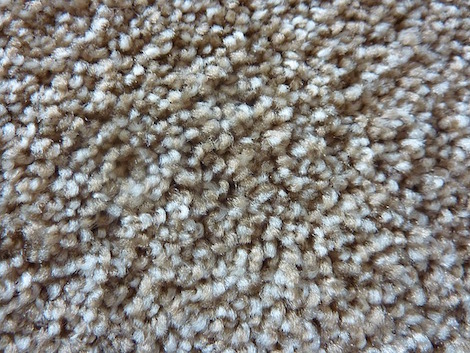 Ready For Some Random Facts and Tips About Your Carpet?? 1. Did you realize that the Norovirus (yep, the dreaded stomach bug virus also known as the Winter Vomiting Bug) can survive on your carpet for up to a month? 2. Do you live by the 10-second rule? You may want to reconsider just where you place that piece of food you pick up off the floor....bacteria can live 3-4 weeks in the cozy habitat of home carpet fibers. Yuck! Are you really going to put that in your mouth? 3. What is dirtier--toilet seats AND city streets or many people's carpets? You guessed correctly, most people's carpets are the culprit here. Think about that....on the other hand, don't think about that. Just call us for a cleaning at 801-936-0586. 4. Want to make your carpet sparkle and smell good in between cleanings? Here is a DIY tip: Sprinkle some salt and baking soda on it, let it sit for about an hour or more, and then vacuum it up really well. Bingo, a sweet refreshed environment to enjoy between professional carpet cleanings! 5. Did someone just spill juice all over your carpet? Certainly it wasn't you. But don't delay, pull out some club soda, pour it on the spot, let it set for a few seconds, and then dab (don't ever rub on carpet fibers, always dab) it up. 6. Do you really know what is down there? Carpets hold on to EVERYTHING: dust, dust mites, hair, dead skin cells, pet hair, pet urine, dirt, insect feces, mold, bacteria, allergens….wanna just stop here? 7. How often you ask? All carpets should be professionally cleaned every 12 to 18 months as a minimum. 8. What is the bottom-line? 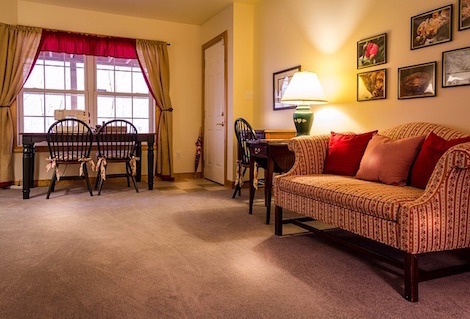 When properly maintained and professionally cleaned, your carpet may actually improve the quality of air in your home because the dust, allergens and other "dirty junk" that resides there gets removed regularly. Improper cleaning, however, will have the opposite effect, and many allergies may actually flare up.